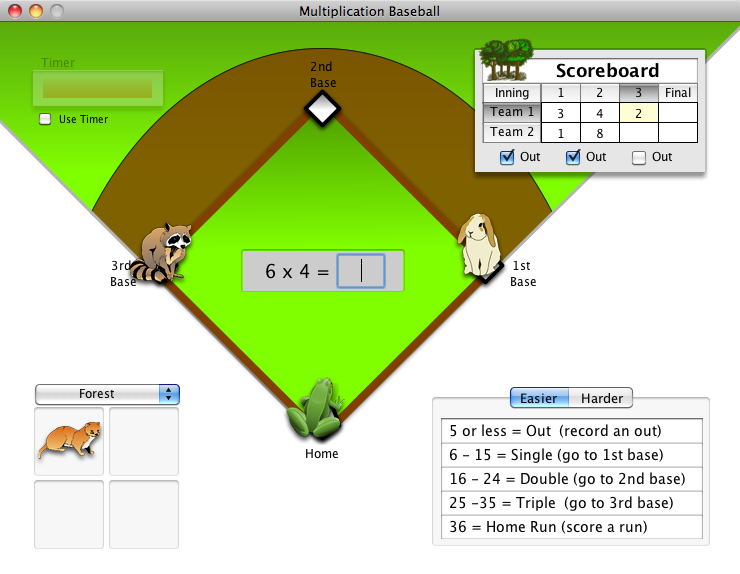 Everything you need to play multiplication baseball... and nothing more! It's just a game board with movable playing pieces and spaces to keep score and record outs. Unlike some other electronic versions of this popular game, ours doesn't take control away from the player. While the game will tell players if their answer is right or not, how players deal with this is up to them. Macintosh OSX 10.4 or later. "If you want people to stand up and take their hats off for this application, maybe you should have it play the national anthem."